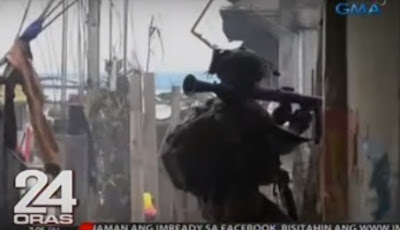 For this past 2 weeks alone, there were several sightings in social media and news video reports confirming the presence of what appear to be RPG-7 launchers used by members of the Philippine Army. The rocket launchers are actually one of the expected acquisitions that has been ongoing for several years now, and were hoped to at least make some headway by now. After 2 weeks of silence, MaxDefense can at last confirm these capabilities now officially present with the Philippine Army. Not surprisingly, these RPGs are immediately put into use in the military operations in Marawi City in the hands of the Philippine Army's elite Scout Rangers. MaxDefense is still verifying if there are other units who already received the RPGs aside from the Rangers. Arsenal's ATGL-L2, which MaxDefense believes is the variant the Philippine Army acquired. The RPG-7 acquisition has been discussed previously by MaxDefense in older blog entries, and has been in process for many years. Officially called the Rocket Launcher Light (RLL) acquisition project, it is funded under the original 1995 AFP Modernization Program covered by RA 7898, and has been in the planning process since the time of Pres. Gloria Macapagal-Arroyo. Originally with an Approved Budget of Contract (ABC) at Php 94.98 million, the project intended to acquire 355 RPG-7s and 4,813 rounds of assorted ammunition, and was supposed to be a US Foreign Military Sales (FMS) project. Eventually the approved contract amount was set at Php 81.73 million. The RPG launchers were supposed to be supplied by US arms manufacturer AirTronic USA with their RPG-7(USA) variant, until the said company failed to make sure it can supply the weapons as it faced bankruptcy issues in the US. 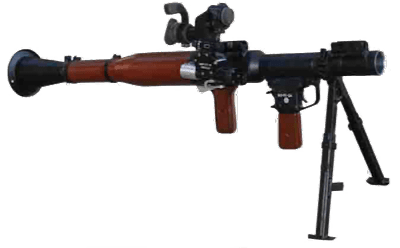 The Philippine Army was supposed to get the RPG-7(USA) variant from AirTronic USA but this was cancelled due to AirTronic's incapacity to deliver. This is now called the Precision Shoulder-Fire Rocket Launcher in AirTronic's product information sheets and website. Credits to owner of photo. Due to the delays in the project, price adjustments caught up with the project and the quantities were adjusted to 335 RPG-7 launchers and 3,272 rounds of ammunition for the same amount of Php 81.73 million. Changes were made on the supplier in 2016, with JUSMAG sourcing it now to a US-accredited supplier from Bulgaria, which was also the approved supplier for the ammunition even when JUSMAG was still eyeing the launcher supply from AirTronic. MaxDefense sources later identified this Bulgarian manufacturer as Arsenal JSCo, based in Kazanlak, Bulgaria. The company is represented in the Philippines by Intrade Asia Pacific, which is known to supply Sig Sauer, FN Herstal, and Oerlikon products to the AFP and PNP. 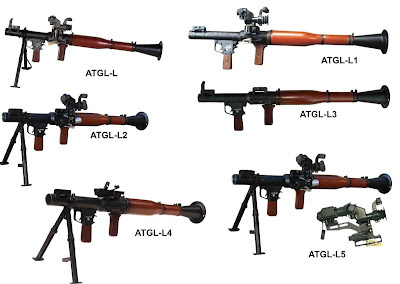 The ATGL-L family of rocket propelled grenade launcher from Bulgarian arms manufacturer Arsenal. Based on their own comparison table, only ATGL-L2 and ATGL-L5 are capable of firing thermobaric rounds, while only ATGL-L2, L4, and L5 can fire Fragmentation rounds. Further adjustments were made again as further delays strained the project further, and the final number of RPG-7s bound for the Army under this deal was decreased to 250 units. With Arsenal, they made upgrades on the standard RPG-7 and renamed them as the ATGL-L family of rocket propelled grenade launchers. MaxDefense believes that the variant the Philippine Army got was the ATGL-L2, which can fire HEAT, Fragmentation and Thermobaric rounds. All other variants of the ATGL-L family, except for the ATLG-L2 and L5, appear to not have this capability. MaxDefense sources confirmed that the RPG rounds were delivered to AFP as early as last year, supplied by Arsenal JSCo, and were stored while waiting for the launchers to arrive. Delivered munitioms include High Explosive Anti-Tank (HEAT) Anti Personnel Fragmentation, and Thermobaric rounds. MaxDefense sources confirmed lately, and supported by latest updates from the AFP itself, that all 250 ATGL-L RPG launchers was suppose to arrive in the Philippines by July 2017. But based on other information gathered by MaxDefense, it appears that there are a few units that were delivered by Arsenal through Intrade Asia Pacific for field trials, training and familiarization for operating units. Since only a few were made available, unit that received the launchers were from the Philippine Army Scout Rangers. Based on feedbacks we receive from MaxDefense community members from the Army, the RPGs werr already used in combat as early as last year against Maute terrorists in Western Mindanao. While a few arrived earlier, the bulk of the ordered RPG launchers arrived only recently, and some are now used in action in Marawi City against the Maute terrorist group. 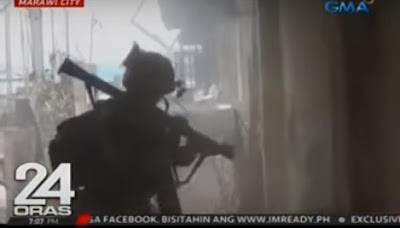 Footage and photos taken in Marawi City show members of the Scout Rangers using the ATGL-L in action. As seen in this screengrab, a Philippine Army Scout Ranger is shown using an ATGL-L RPG against targets in Marawi City. This is not the first time it was shown publicly. On July 4, 2017, Scout Ranger Books' Facebook page showed a photo of a squad of resting Scout Rangers with what appears to be a very new RPG-7 launcher was posted. Photos screen grabbed from GMA News 24 Oras. MaxDefense has not yet receive any photos of the Philippine Army ATGL-L RPG but will be updating this blog entry once we receive one or more photos. The RPG-7 (RPG stands for Rocket Propelled Grenade, or Ruchnoy Protivotankoviy Granatomyot in Russian), is a portable, reusable unguided shoulder launched anti-tank rocket propelled grenade launcher first introduced by the Soviet Union in 1961, and is among the first weapon used by the Armed Forces of the Philippines of Soviet origin. It is very simple to operate and maintain, and is very robust and rugged, with proven combat experience as a weapon by legitimate and illegitimate military organisations for decades now. Arsenal's development of the RPG-7, the ATGL-L family, is said to be lighter than the standard RPG-7 due to the use of different material. It also allows the installation of a red dot sight, and other optics that may be acquired separately by the end user. It also has an option to install a bipod as shown on the photos above. 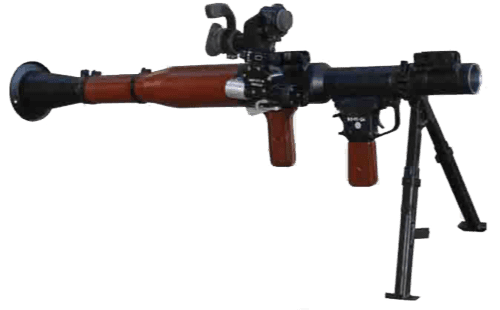 The weapon can be armed with different munitions, including single or tandem charge High Exposive Anti Tank (HEAT), Fragmentation anti-personnel, and Thermobaric rounds. So far MaxDefense can confirm the presence of HEAT and Fragmentation rounds, although it is widely known that since the Zamboanga City Siege a few years ago against rogue MNLF elements, the Philippine Army has been wanting to have a Thermobaric round capability, which is helpful in urban combat operations against structures and walls. MaxDefense received confirmation from one of its source that the Philippine Army actually already have a limited number of RPG-7s as early as 2012, from an unknown supplier, and were acquired with limited number of ammunition. As MaxDefense normally takes at least 3 confirmations from reliable sources in the absense of photographic or video evidence, we take this report as a rumor for now. MaxDefense will continue to search for more information regarding this claim, and see if there really are RPG-7s already with the Philippine Army for the last 5 years. MaxDefense already received confirmation that among those the Philippine Army wishes to acquire in their Emergency Procurement for 2017 are thousands of RPG rounds in HEAT, Fragmentation, and Thermobaric variants. This initial requirements for Emergency Procurement were already approved for implementation by the Department of Budget Management and will be awarded to suppliers very soon. Aside from munitions, the Philippine Army has another batch of RPG-7-type launchers that are to be acquired under the Horizon 1 phase of the Revised AFP Modernization Program covered under RA 10349. Originally this was supposed to be a follow-on order to the first batch, with the project supposed to be another US FMS. 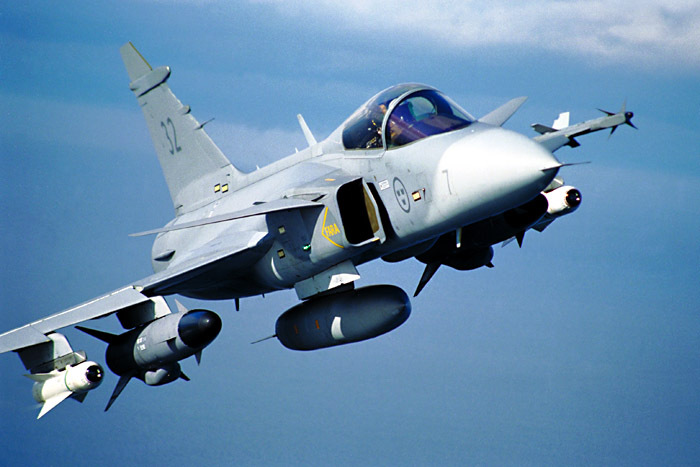 Originally it was supposed to include 744 RPG-7-type launchers and munitions with a total Approved Budget for Contract (ABC) of Php408 million. But MaxDefense received a very lately information that while this is supposed to be another negotiated procurement under US FMS, the Philippine Army is awaiting for the result of discussions between the Department of National Defense (DND) and Russia's Ministry of Defense, as they are planning to make changes on the project should it would be easier to source it from Russia. This is already a delayed project so any further delay would be nothing new. 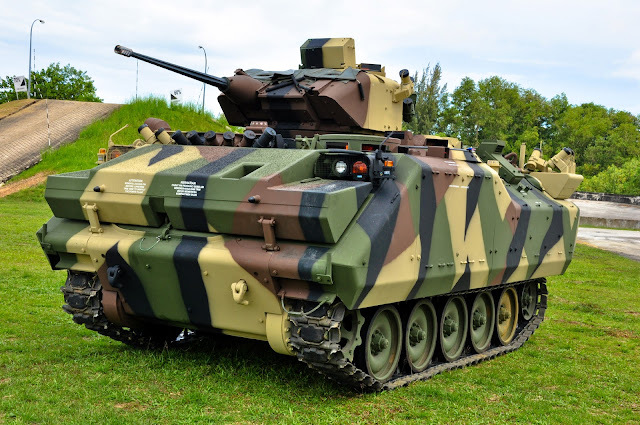 With these new capabilities, the Philippine Army has finally been able to hurdle projects that seemed to be forgotten due to delays on the RLL Phase 1 and 2 projects. MaxDefense expects further updates on these projects in the coming months, especially for the RLL Phase 2 since current events like the Marawi City crisis, the counter-terrorism drive of the Philippine government, and closer ties with Russia and China might affect the decision-making of its procurement. Sir Max, great blog again as always but I have a question. With the arrival of these RPG-7's...will the Army and Marines finally start to phase out the older Recoilless Rifles in service soon or still keep them until larger numbers of ammunition and RPG units arrive? Also any info about the M72 launchers and if the PA or Marines still operates them? Hopefully all the new toys doesn't end up in the millitants hands, as what frequently happened in the past. We used to carry the 90RR in our unit and they are to heavy. These new units of RPG7 will definitely be a light weapon to carry by the troops and packs firepower during engagement with the enemy in jungle and urban warfare. Sir Why did the military consider the the German Rpg-7 as a replacement for the failed airtronic rpg-7? Magbili naman sil noong rpg29 Russian made.At ginamit it Laban sa mga Amerikano noong Iraqi war.Nakapatay nga ng dalawang crew Member sa isang M1 Abrams tank.